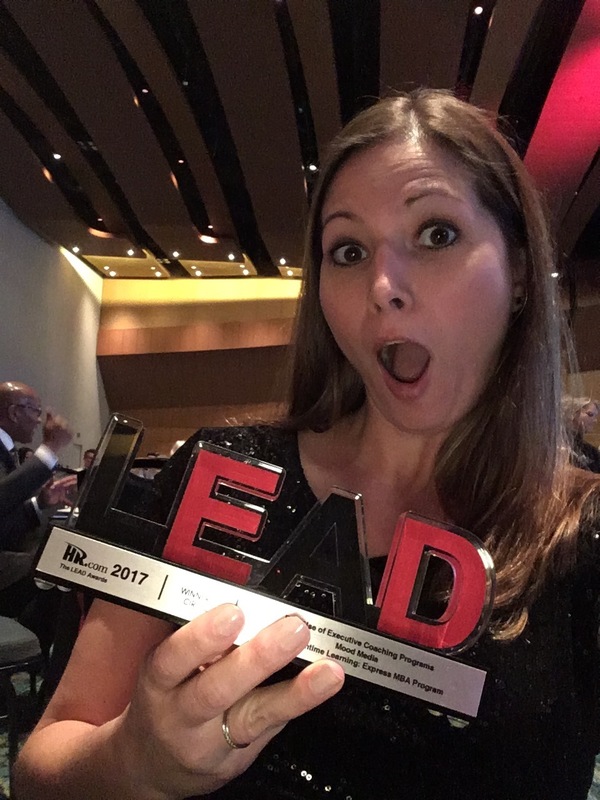 In February, our Human Resources team was invited to attend HR.com’s LEAD (Leadership Excellence And Development) Conference in Nashville, TN. The conference aims to inspire members of the HR community and provide them with the insights and tools required to be better leaders in the world today. Our team also attended the LEAD Awards, which recognizes the top Leadership Development programs for companies across the globe. We were thrilled to be part of the Winner’s Circle in the Best Executive Coaching Program category for our Lunchtime Learning: Express MBA program! What key takeaways do you have from the LEAD Conference? 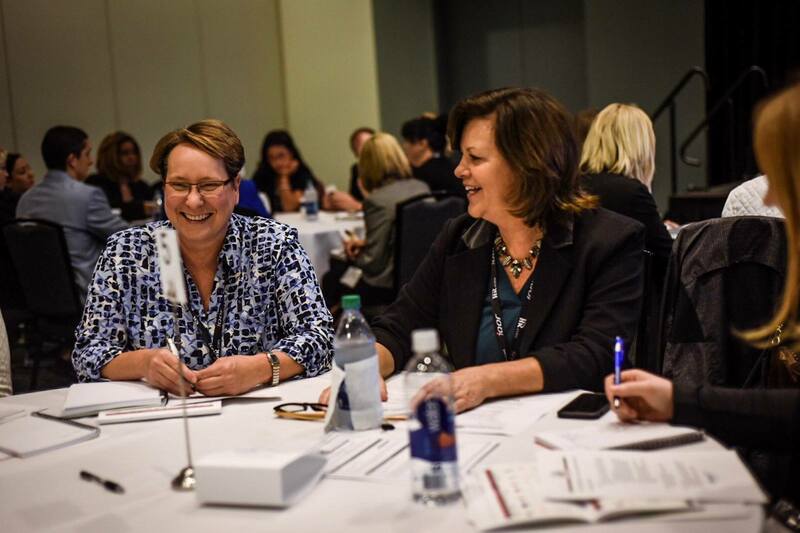 HR.com’s LEAD Conference was a collaborative way to connect with professionals who are passionate about ongoing learning and development in the workplace. It was inspiring to be among those who share the drive and commitment to help others grow both personally and professionally. We were also amongst some of our clients, which made for a fun connection. What companies or programs were you inspired by? Cindy Gillespie from Amy’s Kitchen presented an informational roundtable about their growing program and the resources that they used to align their training with company goals and objectives. Angie Paccione, former Colorado legislator and Senior Director of Client Partnerships at Versus Global, was an energetic and engaging speaker that spoke about accelerating greatness within an organization and the importance of activating potential. How would you describe the Lunchtime Learning: Express MBA program? Lunchtime Learning: Express MBA is a home-grown, executive led training program that allows Mood employees to gain a general understanding of business practices from all areas of the company as well as how and why we do things the way we do at Mood. For example, students apply for the program and attend classes regarding subject matter such as Accounting, Marketing, Sales, Operations, Entrepreneurship, Purchasing, Legal & Licensing, HR and Finance to name just a few. The program mirrors an executive MBA program with a Mood twist. What makes the LLEMBA program unique? LLEMBA is unique in the fact that our executive staff creates their own class curriculum that is updated each semester depending on what is current in Mood’s business or within the area of practices being taught. Faculty teaches students remotely and in a classroom setting to gain the most connectivity to all students who may be located all over the Unites States. By delivering content in this manner, students connect to each other and to executives which establishes relationships that might never have been fostered. Why is this kind of program important to Mood? At Mood everybody grows! Lunchtime Learning is just one of several programs designed to increase employee’s overall business acumen and knowledge within the company. In addition, this creates job fulfillment and meets requests that were made during our latest employee engagement survey. Employees want to see how their contributions to the business fit in and through LLEMBA, they are able to connect all areas of the business. What does this recognition mean to you? To Mood? We are very proud of this recognition both personally and professionally. It proves that one small creative idea, with minimal required investment, overwhelming executive support and a lot of organization can create a successful and winning experience for employees and the company. This award is important for continued company growth as employees continue to progress their careers at Mood and develop into the future leaders of the company. What was really the great “ah-ha” moment of this program, was that when a team comes together behind an initiative and you have support from all areas of the business, you can really accomplish impactful programs within an organization to make a difference. Melissa Thompson showing her excitment about receiving the award! Congratulations to graduates and faculty of Mood’s Lunchtime Learning Express MBA program!